Simply translated Cucina Della Cucina is the “Kitchen’s Kitchen.” Our company allows discerning dining establishments and catering operations to serve fine, handcrafted-style gourmet ravioli and pasta that taste like it was made right in their own kitchen. As a behind-the-scene kitchen, Cucina does the work, the chef takes the credit. Cucina Della Cucina is a family-owned company founded in 1998 by mother and son, blending their knowledge of restaurant management, food manufacturing, nutrition, and recipe development. We see ravioli as an exciting venue for creating the tastes of today and tomorrow, from fusion cuisine borrowing flavors from across the border to fresh, innovative renditions of time-honored classics. We believe that our products make restaurants money. Our products bring customers back quicker! Cucina’s products are all made the way a gourmet chef would make them by hand – using the utmost care & only the finest ingredients. We are diligent about creating and maintaining the perfect flavor profile. 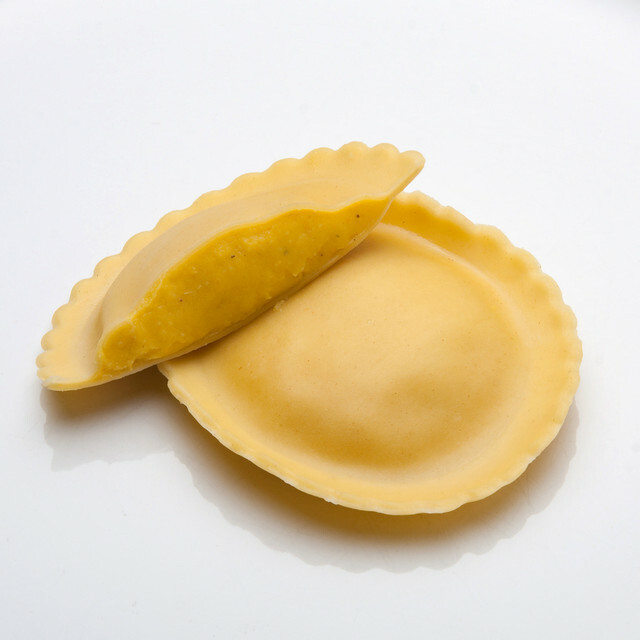 Our facilities allow us to provide high quality products that are consistent every time – ravioli that is always the same size and shape, and pasta that is never streaked and always delicious. Everything we make is fresh and offers the maximum shelf life. From our temperature-controlled environment to our packaging and delivery service, the cold chain is never broken ensuring a high quality product is delivered.